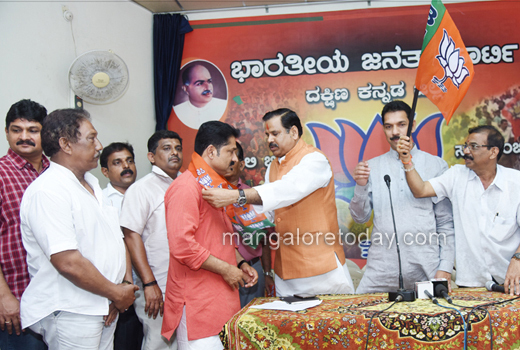 Mangaluru, May 03, 2018: Social activist Shashiraj Shetty Kolambe joined the BJP along with his supporters at the District BJP Office on May 3, Thursday. 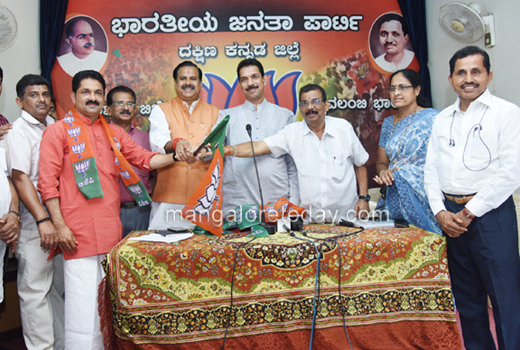 Dakshina Kannada MP Nalin Kumar Kateel and Uttar Pradesh Rural Development MInister Mahendra Singh welcomed them into the party fold. Speaking on the occasion, he said he joined the BJP out of disillusionment with the Congress which, he alleged had misused power and also failed to solve the Yettinahole impasse. 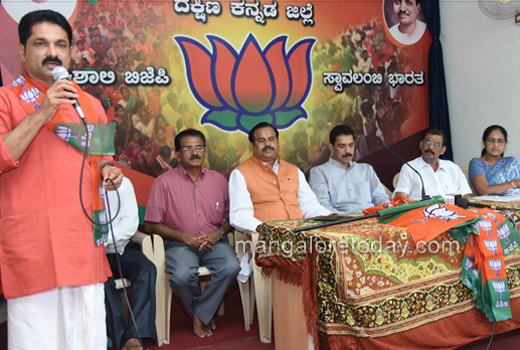 He said the repercussions of Yettinahole project will be discussed once the BJP would come to power. Nalin Kumar Kateel who spoke on the occasion, claimed that the people of the district were hoping for a change. 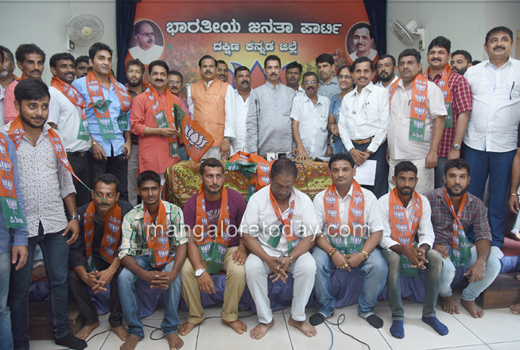 Monappa Bhandary, former MLC, Harikrishna Bantwal, Sulochana Bhat and others were present.